According to sources, while the government has increased the excise duty on petrol and diesel, it is now expected to allow oil firms to pass on the lower prices to consumers. With the price of crude oil continuing to plummet in the international market, retail prices of petrol and diesel in the domestic market are expected to come down in the fortnightly revisions ahead. The price of the Indian basket of crude oil imports fell below the $50-mark to $49.22 per barrel on Tuesday, which was the last trading day. As much as 72 per cent of the Indian basket comprises sour crudes of the Oman and Dubai varieties while the remaining 28 per cent is of the high quality Brent variety. Domestic refineries go in for a mix of these crudes to cut costs. 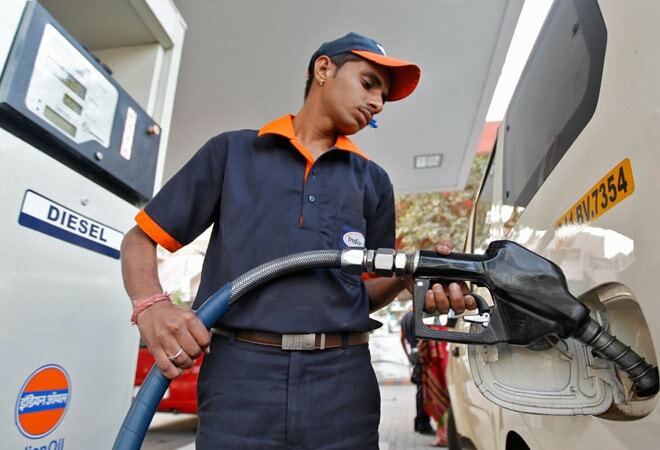 According to sources, while the government has increased the excise duty on petrol and diesel to rake in additional Rs 10,500 crore, it is now expected to allow oil companies to pass on the lower prices to consumers. The price of the Indian basket has fallen by more than $20 a barrel over the last month alone and with Delhi elections around the corner, there is a strong political reason to cut fuel prices. The price of petrol in Delhi has now come down to Rs 61.33 per litre from Rs 72.26 a litre last April. The price of diesel has also fallen from Rs 55.49 to Rs 50.51 during this period. Brent crude oil fell to $49.66 a barrel on Wednesday for the first time since May 2009 and then settled at $51.20 at the end of the day. There is a supply glut in the international market with the US pumping out more shale oil and the Organization of the Petroleum Exporting Countries deciding not to cut output for fear of losing market share. Crude oil prices have come down to less than half of the $115 per barrel in June 2014. Some experts expect crude oil prices to come down in the $40 if weekly oil inventory numbers for the US show another supply build up. "I wouldn't be surprised if we trundle around the $50 mark for a few sessions as investors consolidate their positions just as they did when prices hit $60," Sucden analyst Kash Kamal said.